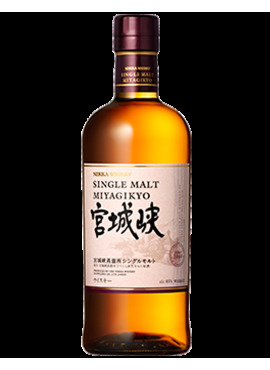 This is a single malt from the Miyagikyo distillery, Nikka's second distillery built in 1969. The founder Masataka Taketsuru chose this site in the mountains of Sendai to contrast with his first distillery, Yoichi, located in the coastal area. This is a single malt from the Yoichi distillery, Nikka's first distillery built in 1934. The founder Masataka Taketsuru chose Yoichi in Hokkaido because of the similar environmental conditions to Scotland, where he learned whisky making. Nikka is now the new trend of malt whiskey. Japan is now recognized by leading experts for the high quality and accuracy in the production. For the past seven years to win the World's Whiskey Awards with its Taketsuru 17, 21 yo Best Blended Malt and Yoichi Single Malt as the best in the world.